Gawsworth has won the Cheshire Best Kept Village – Improvement Award for 2018 and also picked up a ‘Little Gem’ Award for the Park Play Area. 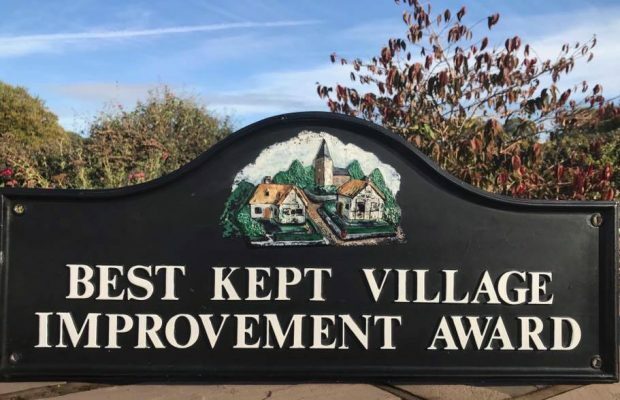 A lot of hard work from many in the Gawsworth community goes into maintaining and improving the public spaces and this award is a nice recognition of all those efforts. Thank you! The judges noticed many areas across the Parish including the community shop seating area, the ‘neat and tidy’ school, flower displays in various locations, the park which was ‘the best and well used’, our excellent Village Hall and Scout Hall, the attractive war memorial area, the chapel being in good order, the excellent church flower festival which involved school children and our tidy woods. Gawsworth also got top marks for the absence of graffiti and dog fouling.